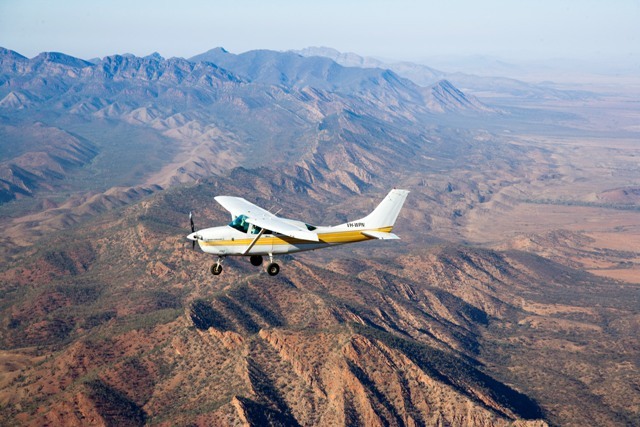 This flight takes you slightly further and completes a circuit of Wilpena Pound where your pilot will point out the Elder Range, Edeowie Gorge, Heysen Range, Lake Torrens, Bunyeroo Gorge, Brachina Gorge, St Mary Peak and the Pound Gap. You will clearly see how the Flinders Ranges appear to be a backbone on the landscape. An extraordinary sight and great for photographers. Photographers: early morning presents the best light for photographing Wilpena Pound.